Our pedestals are available in a range of heights and depths to suit any existing desk or any of the desks across our standing desk range. 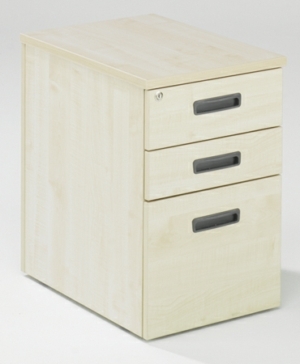 Available in a range of wood finishes to match existing or new desk tops, we make your office tidier and look better all with one simple solution! 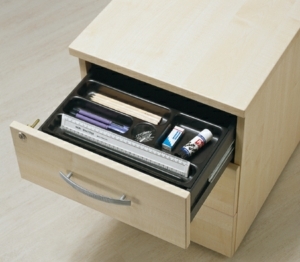 Choose between 2 drawer or 3 drawer pedestals to keep your documents and folders organised and safe. 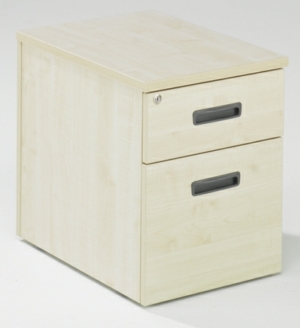 Made to the highest quality, our pedestals are the perfect addition to your workstation for avoiding clutter. 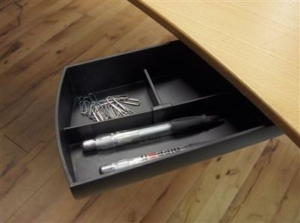 A tidy desk helps to improve posture by keeping all items in your comfortable reach zone.